All day and every day, our historic and beautiful sanctuary, our clean and well-supplied restrooms, our lovely shady courtyard, equipped with free wifi access, the labyrinth and our lovely grounds welcome people through open doors, kept unlocked from early in the morning until late in the evening. We maintain a bowl of fresh “doggie water” for those walking their dogs, and we provide fresh drinking water with cups to help those walking through the grounds stay hydrated. We are a community and arts center for the entire Santa Ynez Valley region, providing the use of our buildings and equipment to non-profit and community based groups on a no-fee basis for meetings and events, with around 90 such guest groups, events, and meetings being part of the our campus life each year. St. Mark’s is home to the Santa Ynez Valley Jewish Community, who use the church and Stacy Hall for services and celebrations. On rare occasions, the church permits for-profit or personal/private us of the church buildings and other facilities. In such circumstances a donation is requested; please inquire. St. Mark’s collects food and personal supplies (toothpaste, toothbrushes, soap, etc.) on a weekly basis as part of our Eucharist offerings each Sunday. 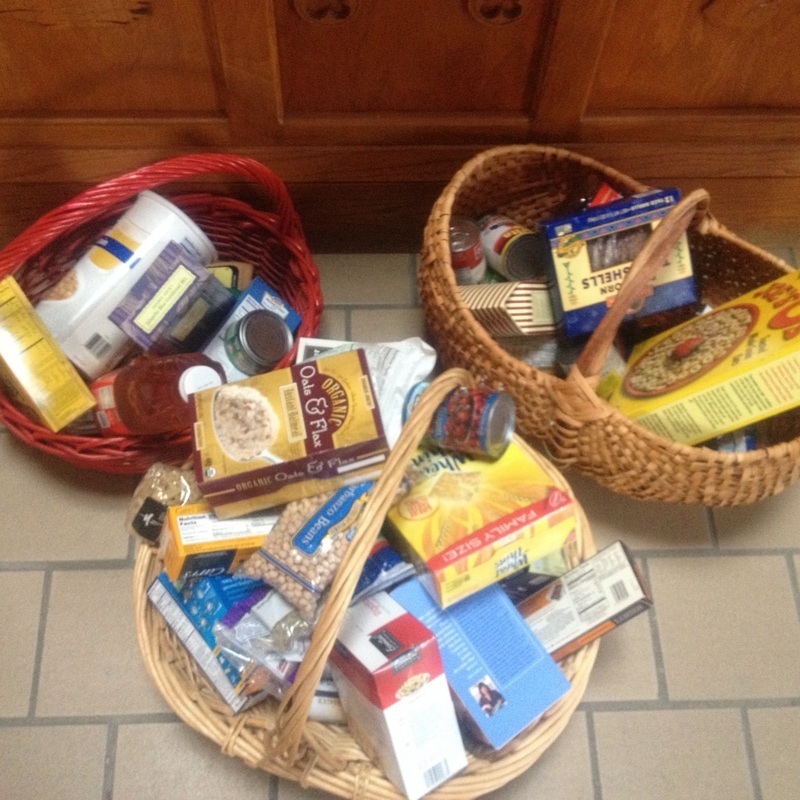 These items are given to People Helping People for distribution to low-income families. 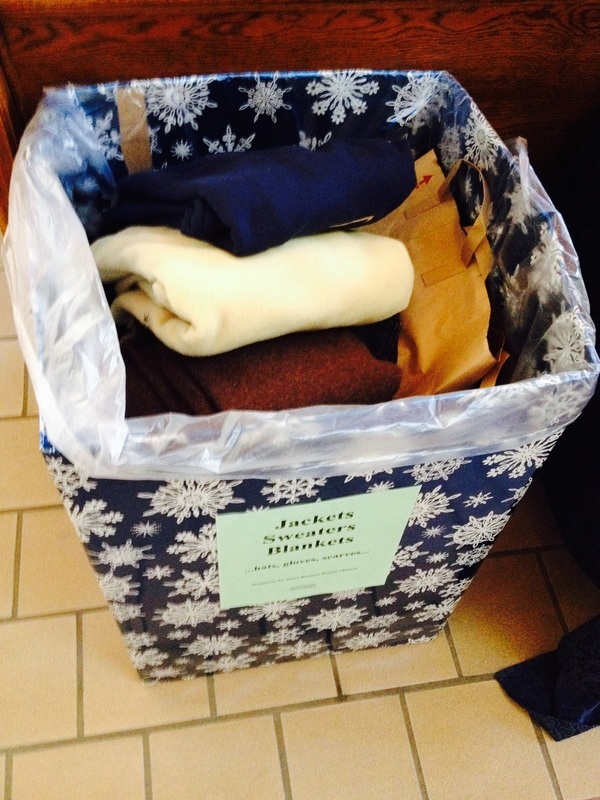 The congregation is urged to bring items for donations and place them in the baskets by the Baptismal font. St. Mark’s participates in the Santa Ynez Valley Christmas Basket program, led by the Society of St. Vincent de Paul of the Old Santa Inez Mission and supported by churches, service clubs, businesses and individuals throughout the Valley. In 2015, the program assisted 156 families, of whom 56 families were sponsored by St. Mark’s. Each family receives a Christmas basket of wrapped gifts for each family member, a basket of food, two chickens and a gift card for additional food. Parishioners wishing to participate as a sponsor for a family receive information about the recipient families, including the ages and sizes of the parents and children. 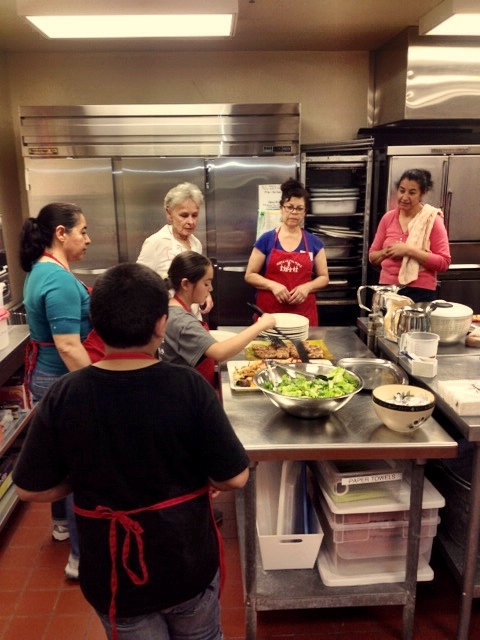 St. Mark’s offers cooking classes to low-income families whose challenges include providing nutritious meals on very limited budgets, sometimes supplemented by federal and state assistance. The classes are “hands on” in the St. Mark’s Kitchen, and have become very popular in the Santa Ynez Valley. In the winter we collect cold weather items (coats, sweaters, blankets, hats, gloves) for the homeless in Santa Barbara. Sarah Spisak personally delivers the items to the Santa Barbara Rescue Mission. In the summer, St. Mark’s supports Circle V Ranch Camp in various ways because the camp for low-income children and youth offers an outstanding program for children from LA to SLO and is here in our area – on the 154 near the San Marcos Pass. On the list? Everything from flashlights to a 15-passenger van – something for every level of giving. Towels for the children to use at the swimming pool are always a need. Contact: Pat Fallin, patfallin@msn.com for a copy of the wish list. St. Mark’s provides a Cookie-Baking evening with People Helping People. Starting in the 2016 Christmas season, we will also provide a Tamale preparation evening, with the Latina women who participate in cookie baking taking the lead instruction roles. 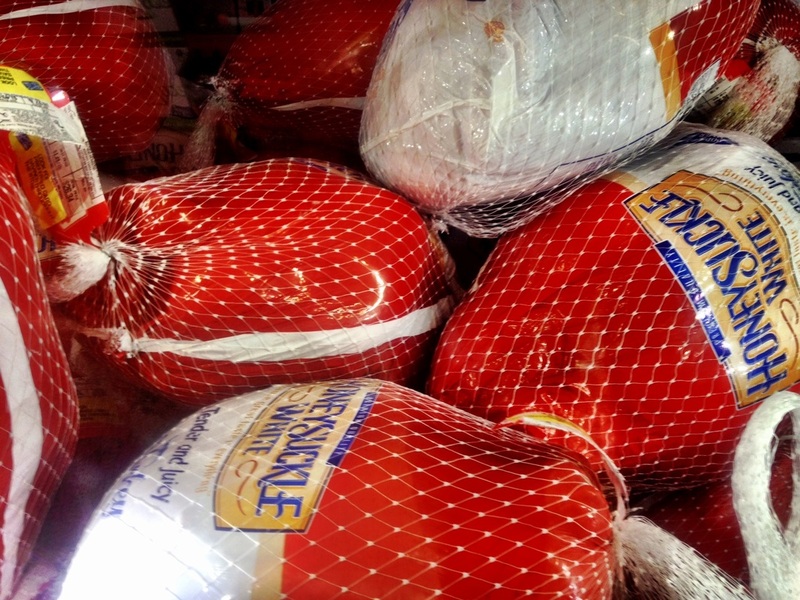 St. Mark’s sponsors a Thanksgiving Turkey Drive (with People Helping People) and collects donations of cash, gift certificates and Nielsen’s Turkey Dollars. The donations are turned over to People Helping People to insure plenty of food on hand to meet the needs of low-income Valley families during the Thanksgiving and Holiday seasons. St. Mark’s participates in the Meals on Wheels program providing weekday hot lunches for shut-ins and others requiring meal services. The meals are prepared by professional chefs at the Atterdag Village, and are delivered by volunteer drivers from local churches. St. Mark’s has more than one Meals on Wheels groups. St. Mark’s Community Kitchen, currently under development, will be located in Stacy Hall, and will serve both the St. Mark’s church community and the broader community. For the St. Mark’s church community, the kitchen is used to prepare and serve food and beverages for coffee hours, for receptions at St. Mark’s events, for the Pre-School lunch and snacks, and for special events such as wedding and funerals. For the wider community, the kitchen will address food insecurity needs by providing community meals and a venue for food distribution. It will be a teaching venue, offering programs such as “Cooking Counts,” assisting low-income families to best use their food and food-assistance budgets. It will be a place to preserve and distribute gleaned foods partnering with such organizations as Veggie Rescue. It will be used by some food professionals to prepare foods for sale (soup, baked goods, preserved foods), in cases in which the professionals will need to take advantage of a low or no-cost commercial kitchen as they establish their small businesses. It will also be used as a training venue for people needing to learn to work in a certified commercial kitchen as they prepare for higher levels of employment in the county’s hospitality industry. The kitchen has been built and improved over a number of years, beginning with a generous contribution from the Herdman family, later contributions from the Cellar Classic, Under A Summer Moon and Summer Classic events, and the Santa Barbara Foundation.